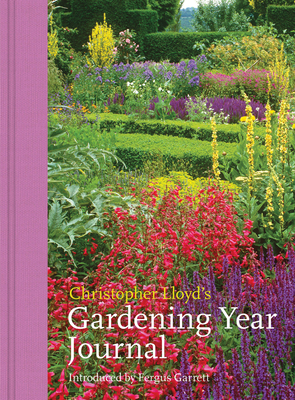 This giftable but lightly journalised edition of the Christopher Lloyd classic gardening reference with sumptuous new photos by Jonathan Buckley and a new introduction from Fergus Garrett. Month by month what to do, what to admire, what to think, what to hope for - with special monthly feature boxes that will highlight â??colourâ?? and â??successionâ? ?, the two aspects that lovers of Christopher Lloydâ? ?s planting philosophy are most acutely attuned to. A new treatment to an old classic of what to do when to create and maintain a beautiful garden. The dream team of Jonathan Buckley, Christopher Lloyd and Fergus Garrett. This classic reference to the gardening year provides adventurous and thoughtful gardeners with the most eloquent writing on the garden in the 20th century accompanied by the outstanding photography. CHRISTOPHER LLOYD OBE was among the best informed, liveliest, most worthwhile gardening writers of our time and the author of a host of classics. He spent years lovingly developing and refining his celebrated gardens at Great Dixter in Sussex. Throughout his career he was unparalleled in gardening journalism, writing for many publications from COUNTRY LIFE to the GUARDIAN. In 1979 the Royal Horticultural Society conferred on him its highest honour, the VICTORIA MEDAL OF HONOUR. He received the OBE for services to horticulture in 2000, and he died in 2006. Fergus Garrett, Head Gardener at Great Dixter, first worked at the Beth Chatto Gardens as a student, over twenty years ago, and has remained a close friend of Beth's ever since. â??Itâ? ?s a good-looking month-by-month reference guide to whatâ? ?s going on in the garden and how to enjoy the same colour-rich planting effects at home [...] His eloquent writing style makes this a very readable book thatâ? ?s hard to put down.â? ?